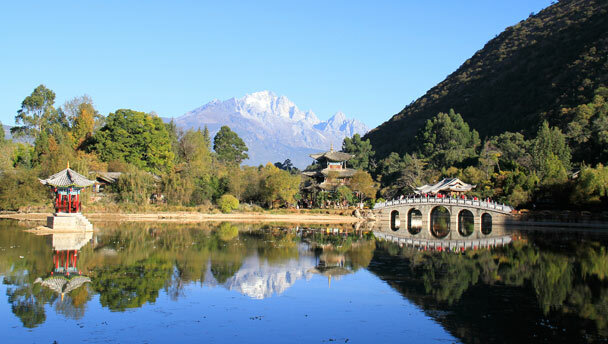 Jade Dragon Snow Mountain, reflected in the waters of Lijiang's Black Dragon Pool. 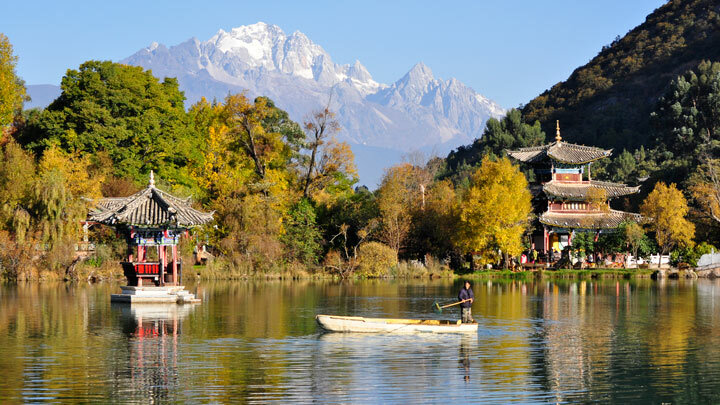 See the highlights of Lijiang and Shangri-La on this five-day trip—cobbled streets and watercourses of ancient towns, country roads and fields around small settlements, Naxi and Tibetan culture, and views of snow-capped mountains. 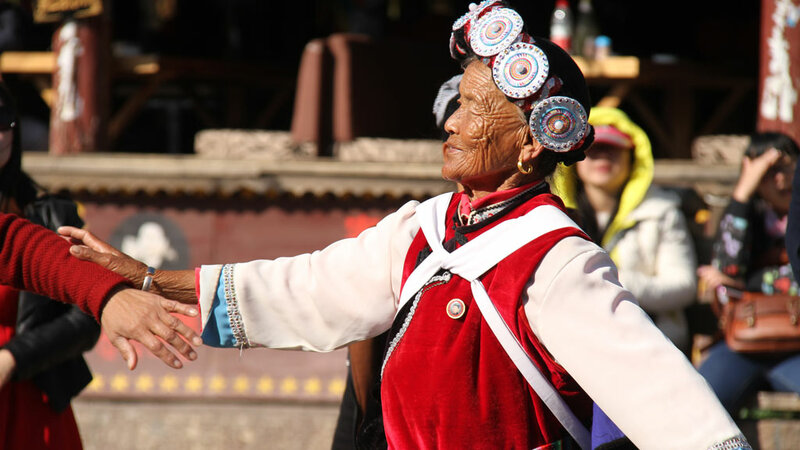 As well as riding horses on an ancient tea trail, you’ll take an excursion by boat on the scenic Lashi Lake, and visit the Songzanlin Temple in Shangri-La. Of course, you’ll also get a quite a bit of walking about done—on peaceful country lanes near Lijiang, on the cobblestone streets of the towns we’ll visit, and at the lower end of the famous Tiger Leaping Gorge. 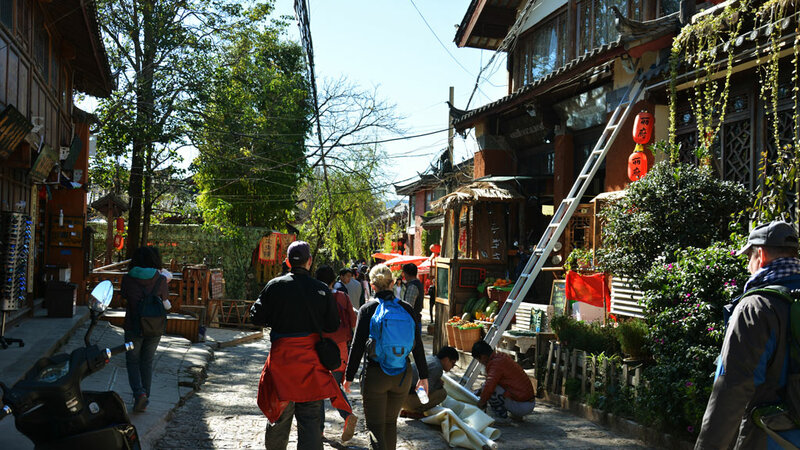 Day 1—Fly to Lijiang, explore Lijiang Old Town, overnight in Lijiang Old Town. 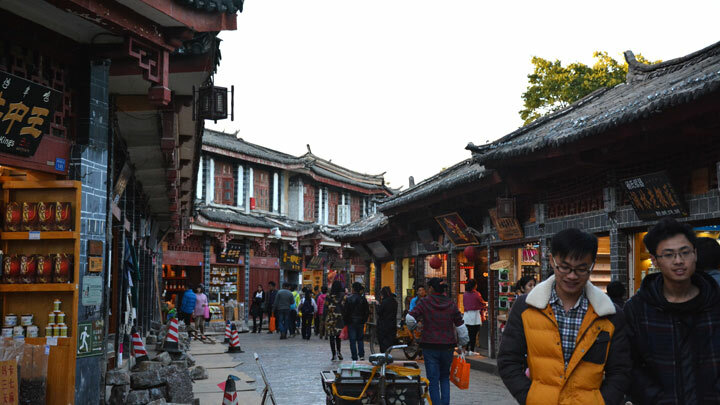 Day 2—Black Dragon Pool and culture museum; visit Baisha Old Town, see frescoes, hike in countryside; explore Shuhe Old Town; drive to Shangri-La; overnight in Shangri-La. 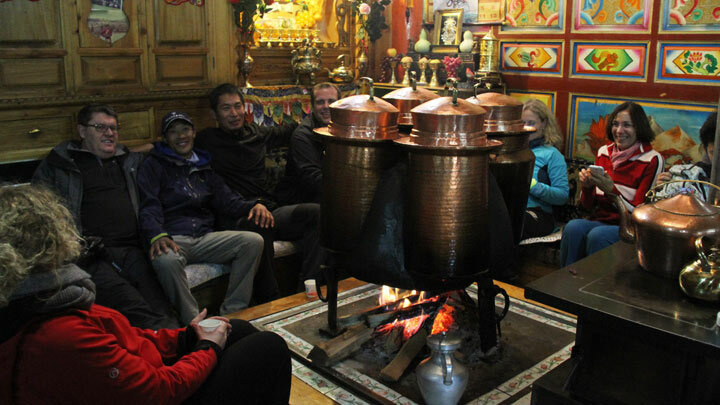 Day 3—Hike up to Shangri-La’s Songzanlin Temple; lunch at local guesthouse; tour of the temple; explore Shangri-La local market and old town; overnight in Shangri-La. 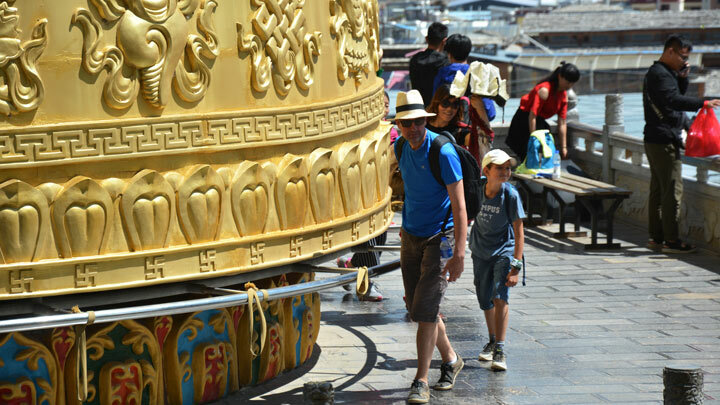 Day 4—Hike up to “Hundred Chickens” temple; see the huge prayer wheel in Shangri-La’s old town; drive to Tiger Leaping Gorge, hike in Tiger Leaping Gorge park, overnight in Lijiang Old Town. 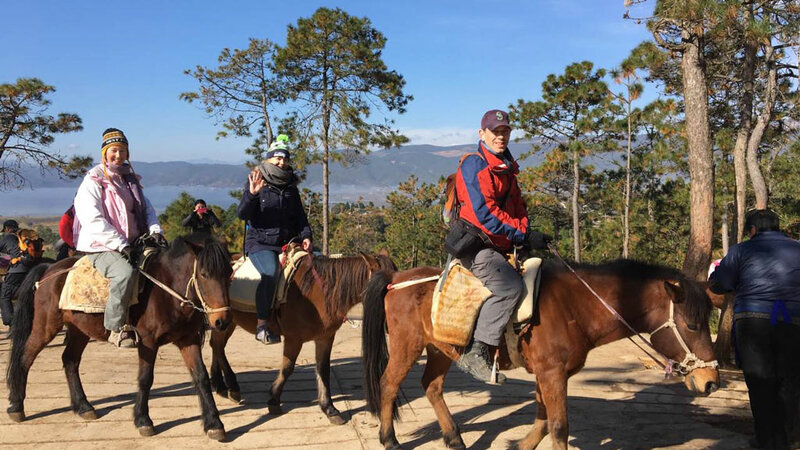 Day 5—Visit Lashi Lake, boat ride, horses, ancient tea trail; free time to explore Lijiang Old Town; drive to Lijiang Airport, fly back to Beijing. By visiting just after the peak season, we’ll be able to explore the cobbled streets, alleyways, and canals of old Lijiang at a time of year where there are comparatively fewer people about. It will still be busy, but not crazy busy. 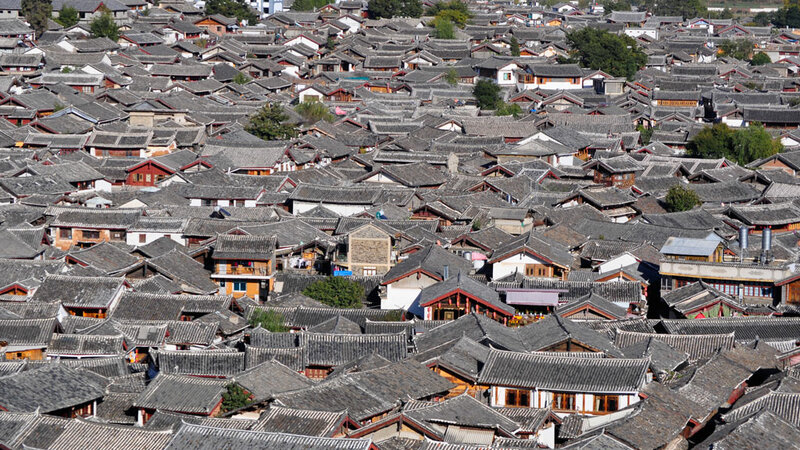 Lijiang has a history of more than 800 years, and, like Pingyao, is a very well-preserved example of what cities looked like in China, a long time ago. We’ll do some exploring at ground level, and then climb up Lion Hill to visit the pagoda. From the top of Lion Hill we’ll get an excellent view of the city below. 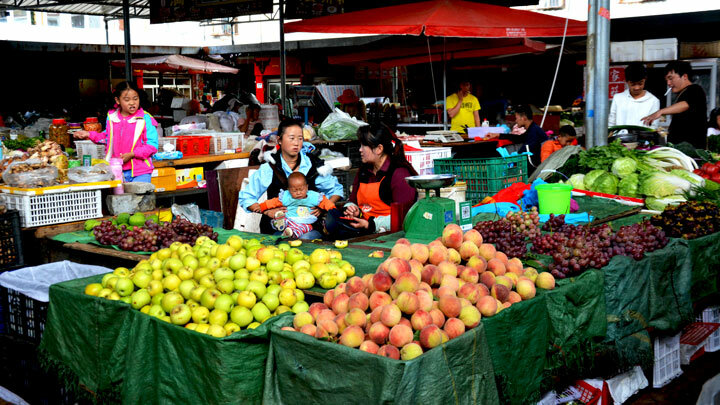 Note: in Beijing, this would be an easy stroll – here, at near to 3,000 metres above sea level, it’s a bit more difficult! Not far from Lijiang are two other old towns with a similar history, but comparatively less development for tourism. Baisha is just starting to see a bit of development, but remains an example of the more pastoral side of life in Yunnan. 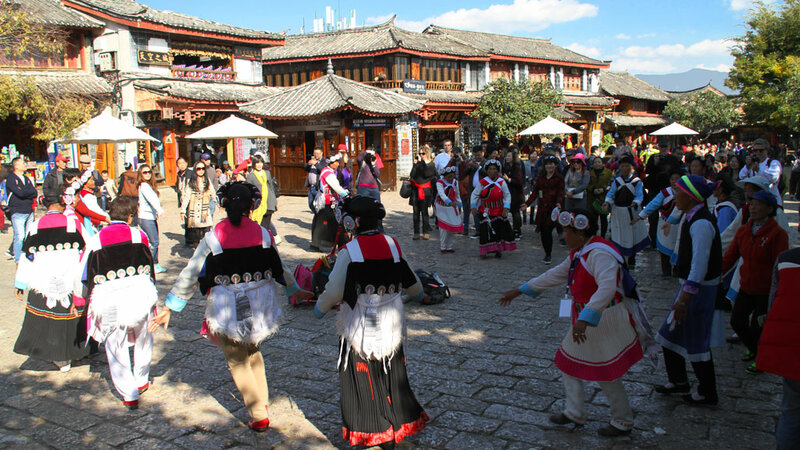 Shuhe is a little bit further along the road of development than Baisha, and is quite a bit quieter than Lijiang, but just as interesting to look about. 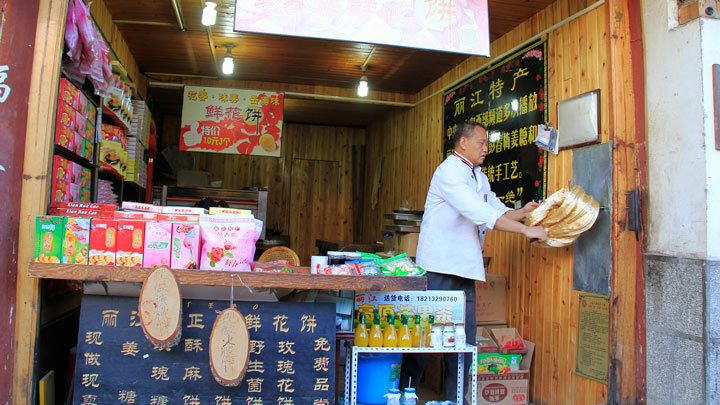 We’ll drive up to Baisha for a look about, and then we’ll take a stroll on to Shuhe, passing through the lanes and fields between the two villages. Renamed (from Zhongdian) to entice tourists, Shangri-La has a Tibetan feel to it, as well as a large temple. Lijiang has more of the Naxi ethnic group, and Shangri-La has more Tibetans. 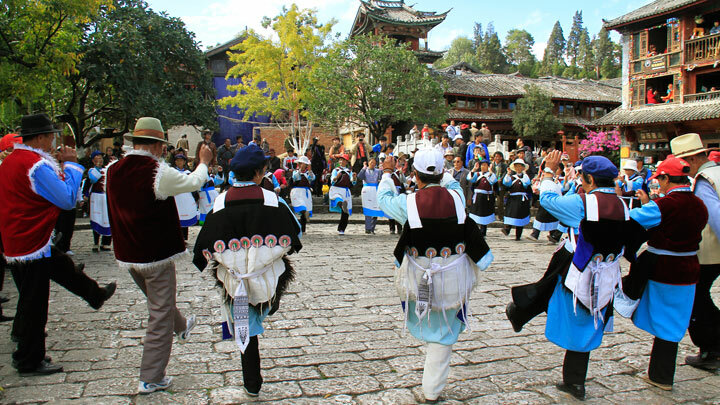 Songzanlin Temple is an active lamasery of the Yellow Hat sect of Buddhism. 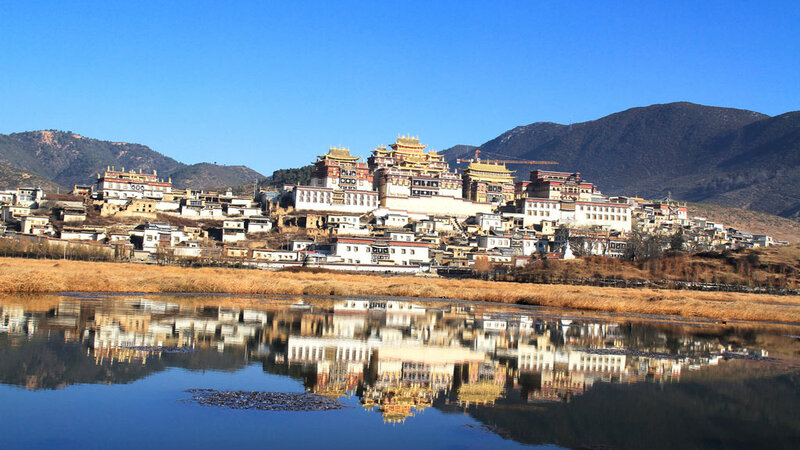 It’s the largest Tibetan Buddhist monastery in Yunnan. It was established in 1679, bombed in 1959, sacked a little bit during the Cultural Revolution, and has since then been restored quite nicely. As with Lion Hill in Lijiang, what would be a relatively easy walkabout at lower altitude could feel a bit tougher at 3,300m above sea level, with a steep flight of stairs to climb on the way to the temple’s prayer hall. 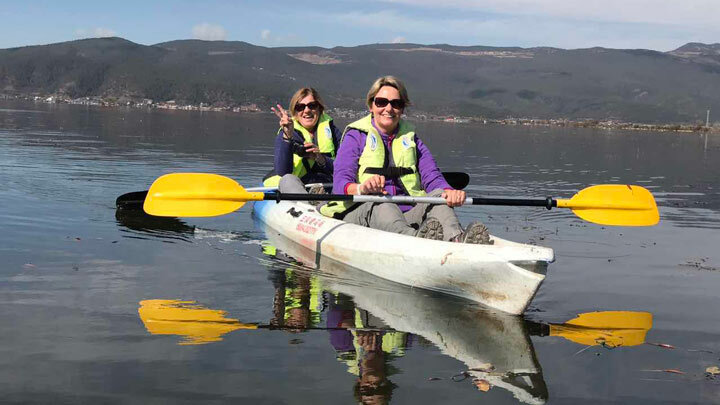 We'll make a visit to the Lashi Lake wetlands area, a conservation zone that's becoming more and more well known for beautiful scenery. We'll use our feet, horses, and boats to get around while we're there. 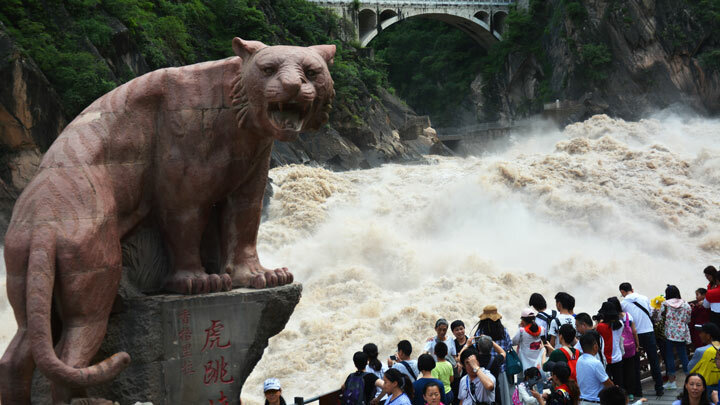 On the way back from Shangri-La to Lijiang, we drive past Tiger Leaping Gorge, and why not visit while we’re in the area? We’ll just have time to stroll about the lower, slightly touristy section of the gorge, but will be able to spot the location of the fabled tiger’s leap, and see the powerful flow of the river down the gorge. 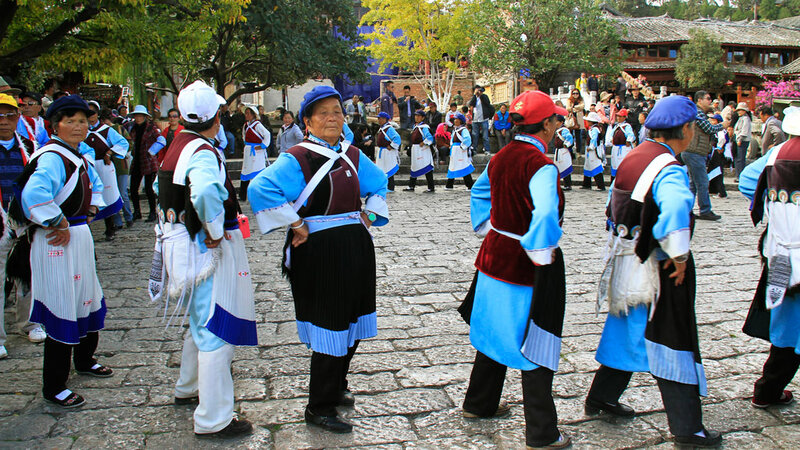 Yunnan is home to at least 25 of the various ethnic groups of China. On this trip we see a lot of Naxi and Tibetans, but also some Dai, Yi, and Mosuo. 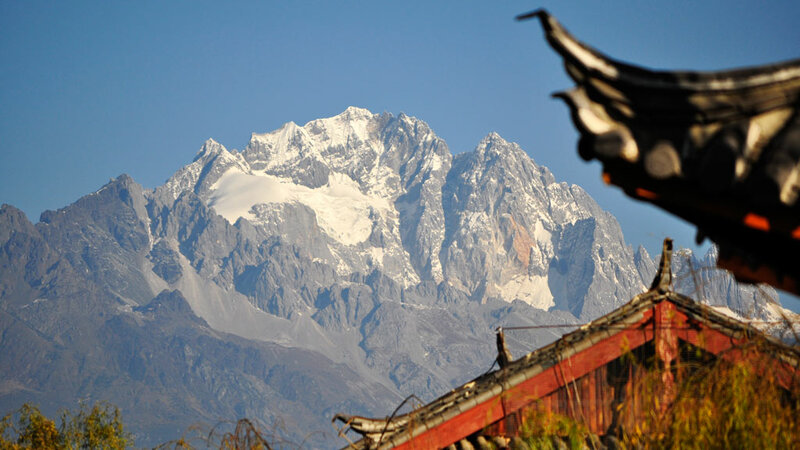 Some places near Lijiang are around 2,500m above sea level, and Shangri-La is 3,200m above sea level. 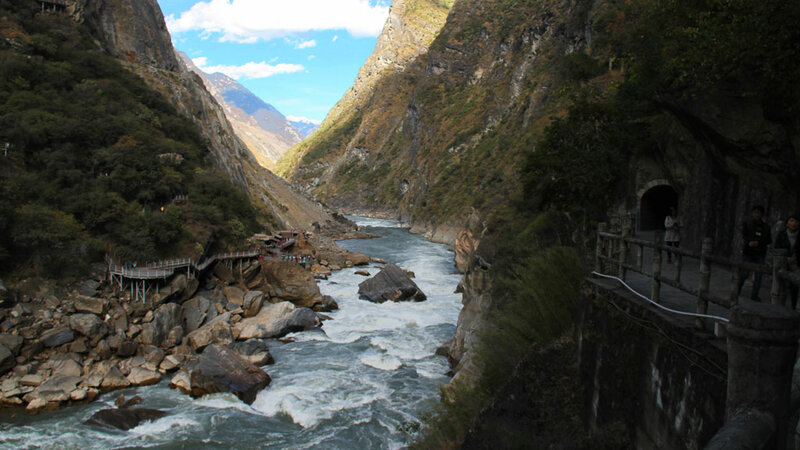 Hikes may feel more difficult than usual, and you may experience symptoms of altitude sickness. 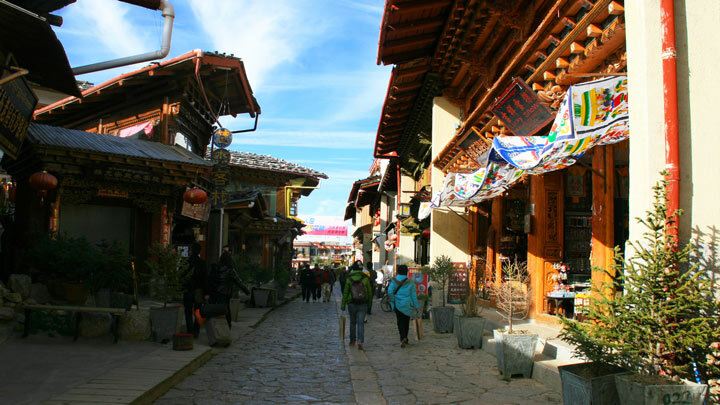 In December, the average high for Lijiang is 14°C, and the average low is 0°C, and there’s not much chance of rain. Shangri-La can get colder than that—make sure to bring your warm clothes! In Lijiang we’ll stay at a comfortable guesthouse; in Shangri-La we’ll stay in a nice hotel. You’ll be sharing a room with another hiker. If you'd like a guesthouse/hotel room to yourself, it can be arranged at an extra cost of 1,200 RMB in total, if a room is available—usually not a problem! 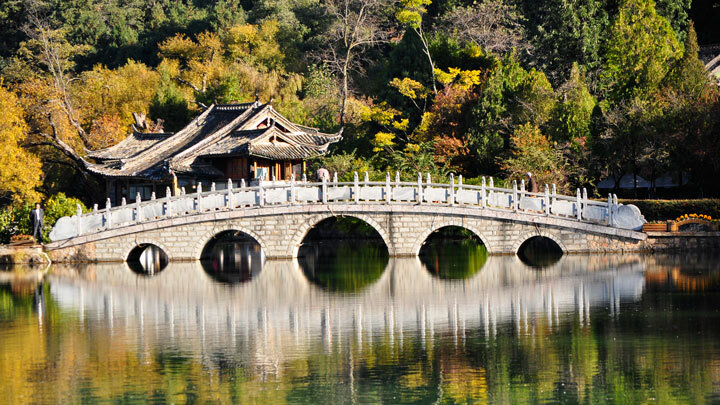 We’ll be flying to and from Lijiang Airport. Flights are not frequent, and tickets often sell out - best to book early. Transfers in and around Lijiang and Shangri-La will be by private bus. 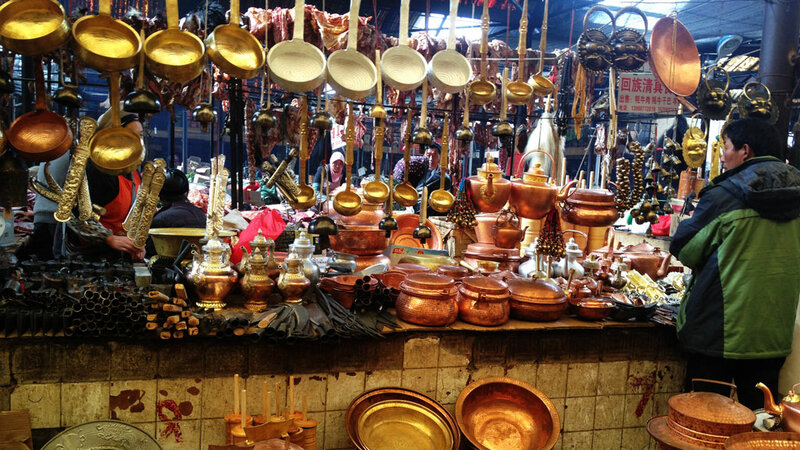 We'll eat at restaurants mostly, and will try to sample as much of the local specialties as possible. Please let us know if you have any special dietary requirements or food allergies. 09:00 — Drive to village near Napa Lake. 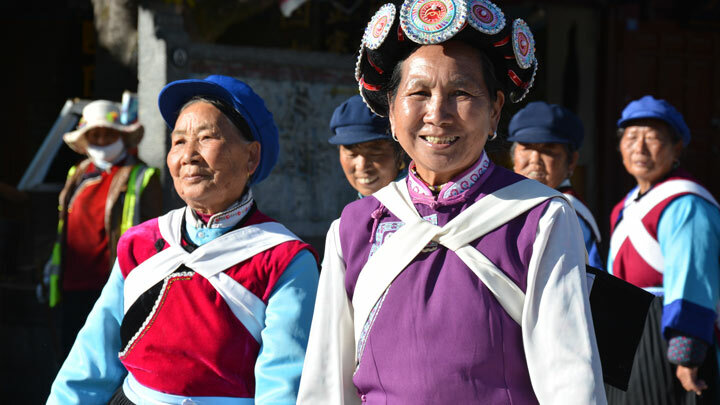 See 50+ photos from a trip in Yunnan Province that took in the scenery and sights of Lijiang and Shangri-La. Forty photos from a fun trip in Yunnan Province, with plenty of pictures from side trips and walks. 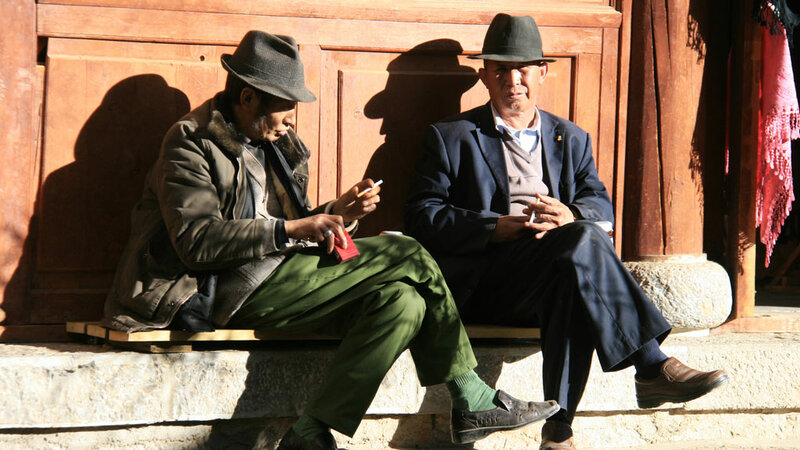 A second set of photos from a fun trip in the mountains of Yunnan Province. 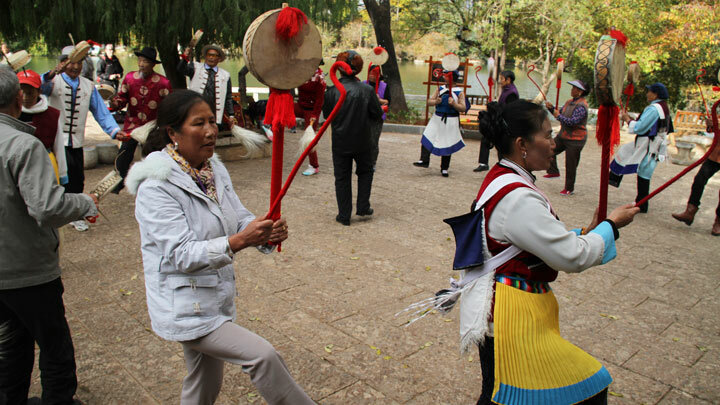 Our last long distance trip of 2012 took us to Lijiang and Shangri-La in Yunnan Province. Missed it? 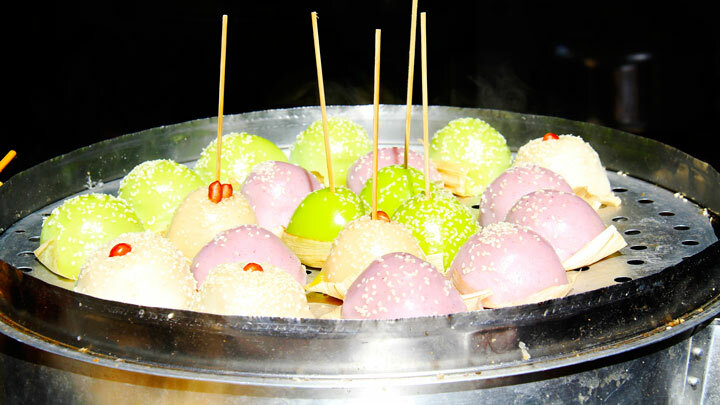 Click through to see the best of the photos! 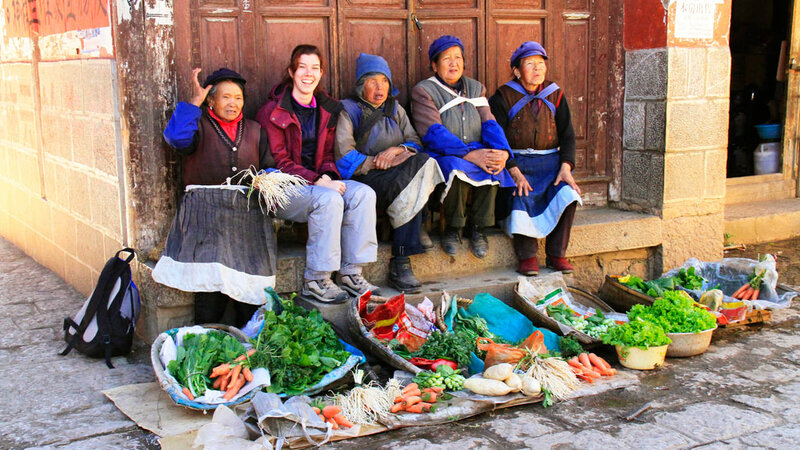 Our last long distance trip for the year was to Yunnan Province, where we walked the cobbled lanes of the old towns of Lijiang and Shangri-La, did a little countryside hiking, and got a good local at the local ethnic culture. 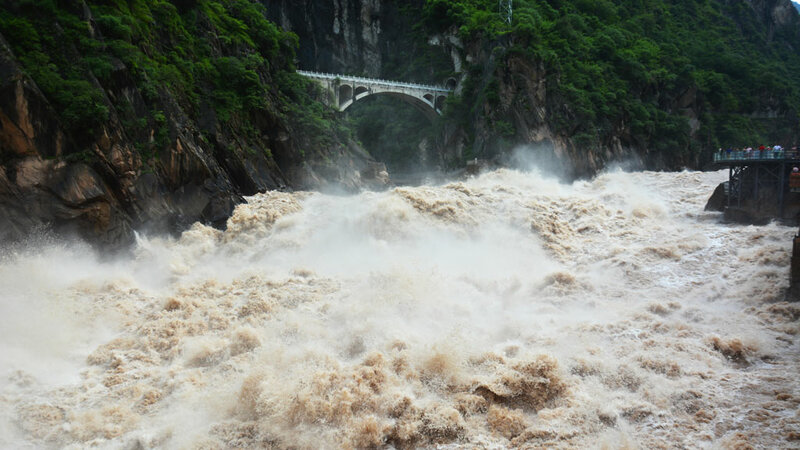 Huijie took hundreds of photographs – click through to take a look at her favourites!